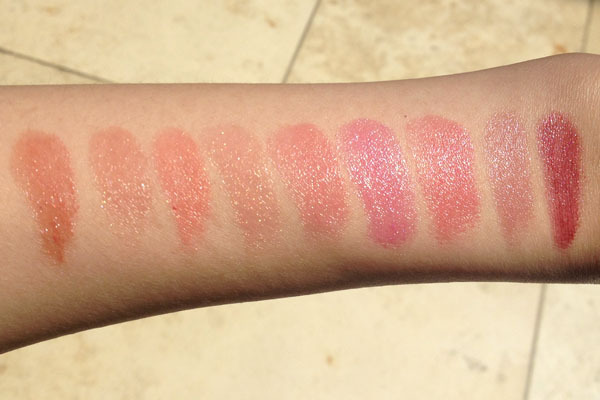 I guerrilla swatched Guerlain's (relatively) new Shine Automatiques last weekend and now I'm itching to try one. I was initially turned away because the lipsticks looked frosty and glittery and wouldn't be a good look on my lips, but after swatching it and seeing it on a few bloggers, it's not as scary as I thought it would be. I haven't tried it on, so I can't give any impressions. My photos were taken in Sephora – one day I hope to find a Sephora run by associates who are OCD about cleanliness and neatness and it will be a happy place. These testers were smushed. I am missing swatches of 201, 220, and 221. So far, 263 A La Parisienne seems to be most popular shade among the reviews I've read. I personally would like to try 202 Mi-Mai and 264 Rose Pompon. A girl can't have too many nudes! I'd LOVE to see Pao Rosa covered! LOVE 262-265! Such gorgeous shades! I have 200, 262, 263, and 264. I swear to God they're not too frosty (because I HATE frosty)! The shimmer is super fine and you can't feel it at all, so you should really go ahead and try at least one! God, LOVE these! I'm so happy that all the brands are starting to release sheerer, glossier versions of their lipsticks because that's the only way I personally will do lipstick. I originally didn't want these but after seeing swatches and lip swatches online I caved and ordered #263. I figure it'll be a great summer lipstick, I hope? I'm still looking for the perfect summer gloss, though. 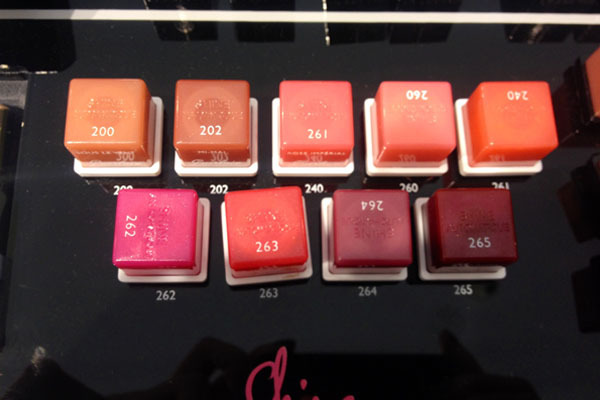 How does the consistency compare to Rouge Coco Shine and Dior Addict Extreme? I have a couple of these and adore them. They are neither frosty nor metallic; rather they use micro glitter to create dimension and the look of smoothness. Once the initial glossiness has worn off, you will be left with a stain of color that can easily be revived with a dab of balm or quick swipe of RA Shine. Basically, Guerlain's formula is not as gloss-like as Chanel's. Chanel's has more slip and the color is more sheer. Guerlain's is a bit creamier and the color is more vibrant. Although both formulas have more similarity than difference, Chanel leans more towards lipgloss; Guerlain leans more toward lipstick. I can't wear Dior (the color changes on me) so I can't speak to that particular formula.